What's scarier, a mouth stuffed full of snake or being buried alive? The women featured in FX's promotional content for the upcoming season of American Horror Story don't seem to mind either, but that's one more indication that we're headed toward the season of the witch. The above teaser is the latest to arrive ahead of the anticipated American Horror Story: Coven, which arrives next month. The teaser shows the side-view of a buried casket, and inside is a woman who appears to be quite content to rest underground. The music for the teaser is similar to the creepy song we heard in the Stakes teaser, and that's a shift from the "House of the Rising Sun" music we were hearing in the earlier promos for the series. American Horror Story: Coven will star AHSAHS: Coven to be the series' best season yet. From what we know about Coven, the season will involve both Voodoo witches and Salem witches and a centuries-old rivalry between the two groups. It'll come down to Lange and Bassett's characters to mend the fence between the two groups. But why? That part is unclear. Is there some kind of outside threat? Or is it simply time to get over whatever they've been feuding over? We'll find out in a little over a month. 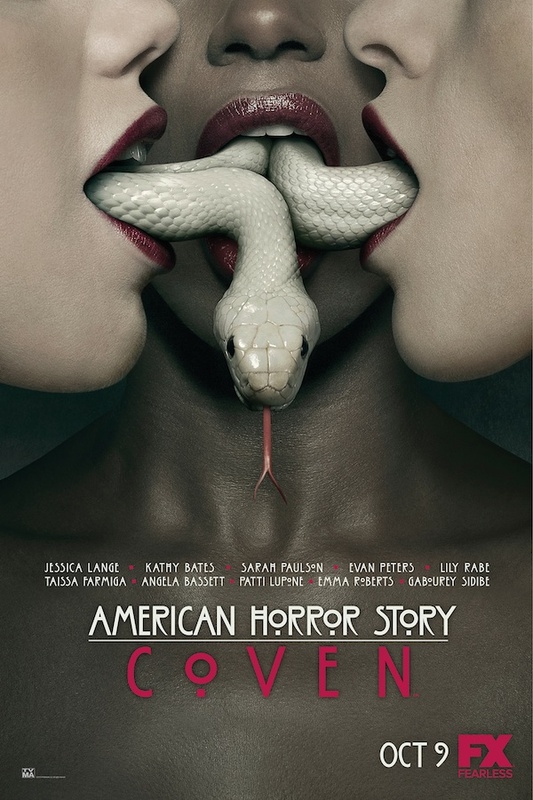 AHS: Coven follows AHS: Asylum, which was a period drama set at an institution for criminally insane women. The staff at that place might have been more threatening than the inmates. And the season before that - the series' first season - was set in modern day and followed a family who moved into a beautiful old house with a very dark history that literally came back to haunt them. Personally, I preferred Murder House over Asylum. The great thing about the series is that it starts over each season, which gives the show the opportunity to restart every fall. Where will Coven fall among the series' stories? Will it be the best season yet? We can only hope. Which is your favorite American Horror Story season?